Back in the 1980s, fresh out of college, I launched a small publishing company that produced a publication about the city of San Bernardino. We didn’t make any money, but I fell in love with magazines and learned plenty about electronic publishing. Our production techniques were way ahead of most large companies because we purchased a Macintosh SE (20 MB Hard Drive with 4 MB of RAM!) and software called QuarkXPress. The knowledge I gained there allowed me to land an amazing job as production manager at Islands Magazine in Santa Barbara. I eventually became general manager and associate publisher and transferred to New York City where I spent four of the most incredible years of my life. 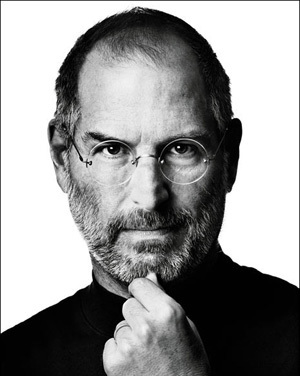 I must thank Steve Jobs and Steve Wozniak for founding Apple and producing the trailblazing computers that eventually launched desktop publishing. 27 years after the launch of the first Macintosh, with the stunning and profound 1984 Super Bowl commercial (click here to watch–it only aired once on television), it is still the preferred computer today in publishing and design. The Macintosh SE allowed me to stand out in the competitive world of publishing and I will never forget the way Steve Jobs directly touched my life and continues to do so. I have been in the wine business now for many years, but I obviously still have the publishing bug and it is manifested in this humble blog, which I write on my MacBook and iPhone. ~ by Thomas on October 8, 2011.